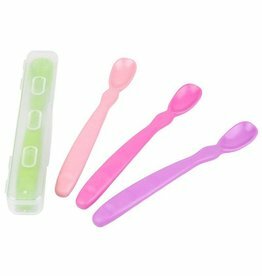 EASY TO USE - Whether your baby is self feeding or you are feeding them, the scoop size is perfectly proportioned for your baby's mouth and the ledge will reduce mess. 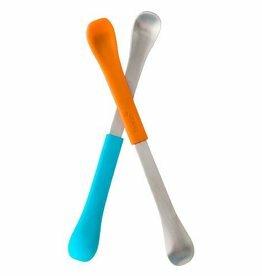 The flat edge design of this spoon means it's easy to scoop from any jar or bowl. 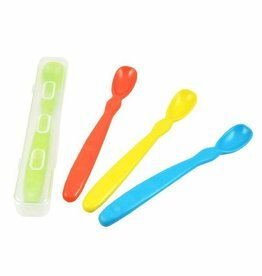 SOFT, GUM-FRIENDLY SILICONE - The perfect spoon for introducing new foods, this silicone baby spoon is gentle on sore gums.